Promoting culture is imperative for Arabs given the destruction of, and war on, culture launched by extremist and terrorist groups in the Middle East/North Africa region, said Sultan Al Qassemi. "Every single member of our community in the Arab world has a responsibility and has the ability today, thanks to mobile phones, to document and save culture in case it disappears," Al Qassemi, founder of the Barjeeel Art Foundation, told me. And it's not limited to elites, he insisted. 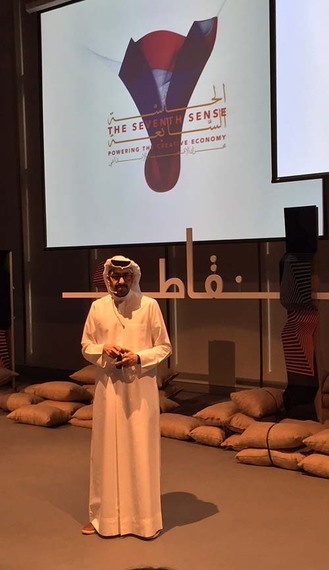 Al Qassemi was attending Kuwait-based Nuqat's conference boosting innovation, promoting entrepreneurship, uncovering censorship, and serving as a teaching platform. This year's three-day conference was entitled "The Seventh Sense: Powering the Creative Economy." Al Qassemi spoke on the Arab world's rich history in culture, and promoted the notion of cultural diplomacy, but admitted funding in general remained a hindrance to supporting the arts. He said Kuwait was a frontrunner in establishing art museums. Al Qassemi, a noted patron of the arts from the United Arab Emirate of Sharjah where he set up his foundation, is a Renaissance man. But his passion is to save everything from lullabies to poetry, to music, to paintings and sculptures. In his Nuqat presentation, Al Qassemi said challenges facing the creative economy in the Arab Gulf region included copyrights, the artist as master, and the lack of respect for intellectual property rights. "Challenges facing the registration of intellectual property rights mean waiting at least a year to do so," he noted, pointing to the high cost incurred by a creative person who has to register in each separate country. Additionally, cyber crime laws are not properly developed to halt intellectual property right theft and there is no Arabic language website to handle the matter. 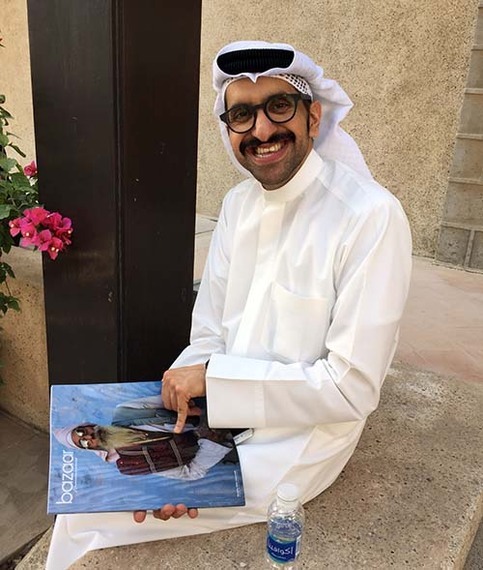 Another major hitch is the burden of social and religious censorship, the closure of exhibitions deemed too provocative in Arab Gulf countries, and petrified educational systems, said the outspoken Al Qassemi. His foundation's mission is to promote art by artists from the Arab world through local and international exhibitions. 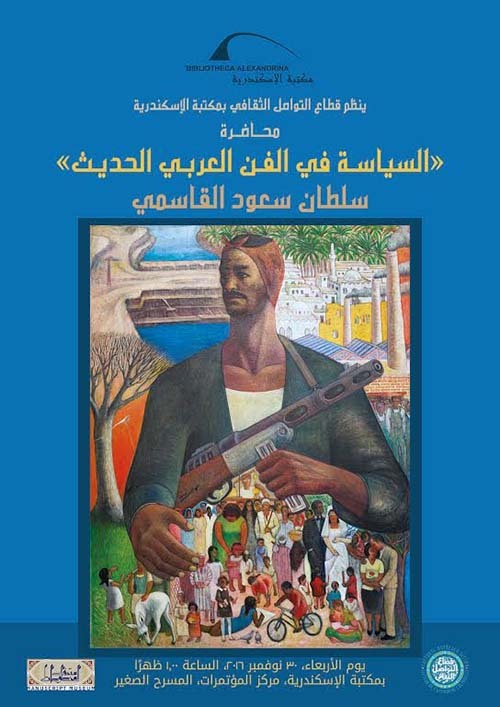 Al Qassemi, who is also the co-director of the Dubai Global Art Forum that gathers artists, curators, musicians and writers to exchange and debate ideas on chosen themes, recently gave a talk at the Bibliotheca Alexandrina in Egypt on the political undertones of iconic 20th Century artworks in the Arab world. 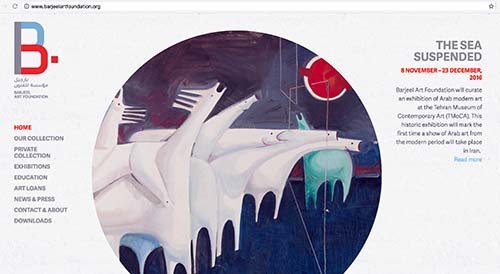 The subject: artworks as tools of soft power and propaganda by various Arab governments, including the Baathist regimes of Syria and Iraq, and the pan-Arabist government of Egypt's Gamal Abdel Nasser, Ahram Online reported. His talk coincided with the Barjeel Foundation's opening of the Hurufiyya: Art and Identity exhibition on letterism. The dynamic Al Qassemi rattled off a list of exhibitions to me that Barjeel was promoting from the end of 2016 through 2017, including the show in Alexandria, Egypt, as well as contemporary and modern art events in Tehran, Amman, Paris and Washington, DC. I asked if Tehran wasn't a sensitive topic given the tension between certain Arab countries and Iran, and the complicated geopolitics of the region. "Tehran is, and will remain forever, our neighbor. We here in the Gulf don't have an issue with the Iranian people. We have a huge disagreement with the Iranian government. But it doesn't mean that this should stand in the way of people-to-people, even commercial, exchange." Cultural exchange and tourism are probably among the most important things that bind people, he said. "I think this helps to calm the atmosphere, even if governments disagree, so this is something that we have to keep in mind," he explained. The Nuqat conference was followed by four days of intensive workshops including designing and producing Arabic fonts using the Glyphs app, knowing one's customer to improve one's business, food in motion videography, Sadu-inspired product design from tapestries, boosting one's employability in the creative industry, and creative problem solving skills in leadership. 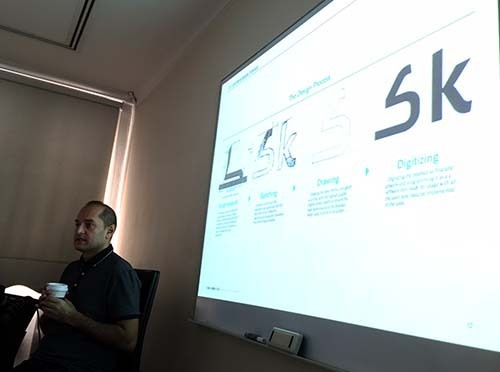 I attended the first two workshops featuring Lebanese graphic design, typography, calligraphy and lettering expert Tarek Atrissi, and, Syrian entrepreneurship, design thinking and business management trainer Yara Al Adib. "I'm interested in how typography becomes part of the visual language," Atrissi said, adding that one can create compositions and visuals without resorting to pictures. Atrissi said the Arab brand was becoming cool again and that common factors in the Arab world were language and change, with the complexity of culture in every aspect of design. 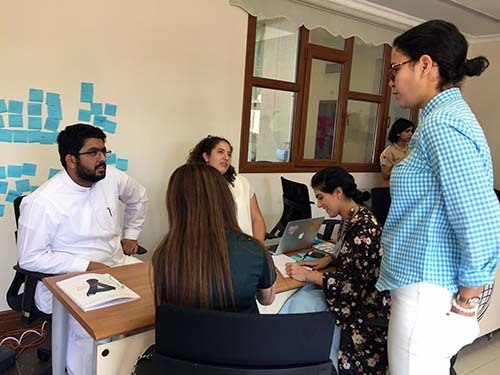 For Yara Al Adib, designers must know their customers to improve their businesses. Unfortunately, many designers focus more on the creative side of their projects and neglect business requirements that keep them financially viable. Communicating about, and marketing, designers' brands is almost an afterthought. "You have to be relevant digitally, but customer service should not be digital," Al Adib said of the need for the human touch.